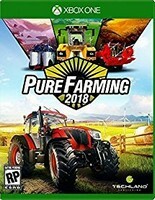 I am extremely excited, pleased, and happy Family Friendly Gaming was given a digital download code for Farming Simulator 18 on the Nintendo 3DS. 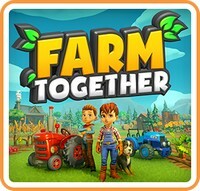 This farming simulation video game is also on the Playstation Vita. There are physical copy versions of Farming Simulator 18 on both the Nintendo 3DS, and PS Vita. It is selling for a reasonable price below thirty dollars too. The music is really good in Farming Simulator 18. It has a country twang flavor to it that may get your family interested in listening to bluegrass music. There is a helpful tutorial that comes up at the right points in time in Farming Simulator 18. I learned to harvest, drop the grain in the container, and then take it to where I could get paid for it. Then Farming Simulator 18 taught me how to clear a field, and plant. The longer I played Farming Simulator 18 the more I learned. The longer I played Farming Simulator 18, the deeper I saw it is. There are fifty farming machines and vehicles in Farming Simulator 18. Families will need to seriously grind to save up for all of them. There is also livestock to take care of and breed in Farming Simulator 18. I like animals. They are very tasty. Like Phil Robertson likes to say. Farming Simulator 18 is a very relaxing game to me. My one complaint about Farming Simulator 18 is holding the drive button while harvesting, sowing, reaping, and more. It can lead to finger cramps. I wish I could turn the gas on and leave it on. That way I could drive around and take care of business without worrying about holding that one button down all of the time. The vehicle sounds are realistic in Farming Simulator 18. 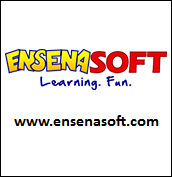 I also learned to recognize the different images and what they contained. I had fun playing Farming Simulator 18. 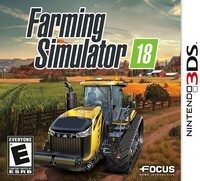 I am very pleased Farming Simulator 18 was released on the Nintendo 3DS and PS Vita. 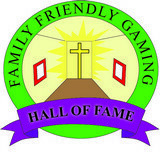 Family Friendly Gaming requested additional hand held versions of Farming Simulator. It is great to see we were listened to.